Dongzhou Sew-on Stones, will soon be available in our online shop. 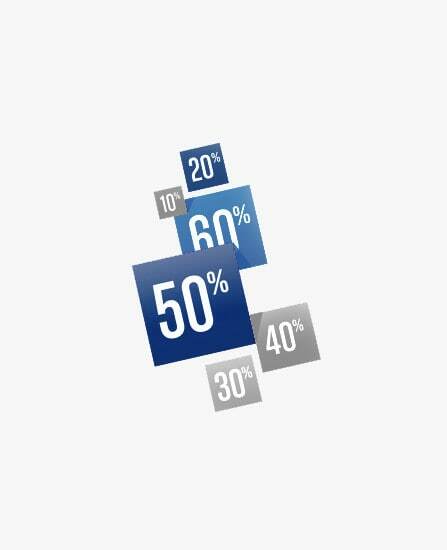 * Big Sale Blue Nil: Save up to 50% on Blue Nil AURORA and Premium. Welcome to Blue Nil, Preciosa and Swarovski rhinestones wholesale! Görlach Besatzschmuck GmbH is your supplier for fashion jewellery and semi-manufactured textiles. Among our up to 60,000 products, you can find popular rhinestones, filigree rhinestone applications, and plenty of inspiration for your own creations. Turn products and all kinds of surfaces into something special with gemstones, rhinestones and beads of the highest quality. 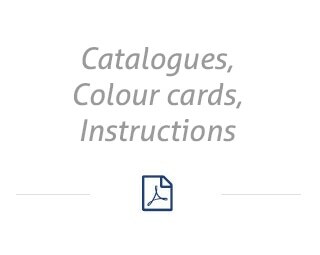 Create your perfect product from our varied and comprehensive range. We offer you products from well-known brands (Swarovski, Preciosa and Blue Nil), high-quality materials and exclusive new brand releases. This, and much more, awaits you in our online shop. Nice to combine with others blue bicone. Super, great shine and nice color. Beautiful colour, bright crystal, very good sparkle. Wow! It is nicer than in the picture! Looks very luxuriously and it is fancy! Good supplement to other brown colours. I will combine them with more light colours. I was very curious about this stone and I realy like it a lot! Swarovski Crystals are amazing! Very beautiful and sparkly! Good customer service! Would highly recommend this online shop. Perfect to combine with all other colors. Our new website has been launched. We are looking forward to your visit. Please feel free to leave your comments and remarks on the contact page. You can shop securely via our online shop for fashion jewellery and semi-manufactured textiles whenever you want. Discover new decorative stones and trends whenever is convenient for you. Our online shop is open for you around the clock. It goes without saying that we protect your personal data, such as your email address and shopping cart information, using an SLL encryption. You also benefit from our 14-day returns policy on all rhinestones, beads and accessories. If you have any questions, our customer service team will be happy to help you with our product range and different application methods. Many of our decorative stones and products for further processing are ready for dispatch within a few days. Our shipping services, DHL and UPS, deliver your order - whether iron-on rhinestone designs, sew-on stones, glue, chains or fixtures - to a delivery address of your choosing - to your home, dance studio or any other location. With UPS Access Points, you can decide where your delivery ends up without needing to be there to receive it. Create your favourite product from our up to 60,000 compatible decorative stones and individual products. 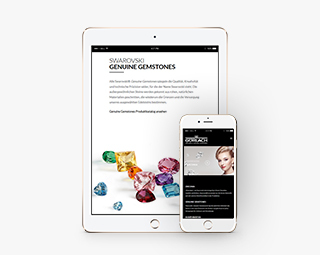 Using our product configurator, you can quickly and easily select a shape, colour, size and package size: 27mm pink Swarovski Chantos or 6mm sew-on flower-shaped stones from Preciosa - there is something for every taste. If you prefer semi-manufactured textiles, we offer ready-made rhinestone designs and Hotfix applications for ironing on. Our payment process is just as simple as our ordering process. 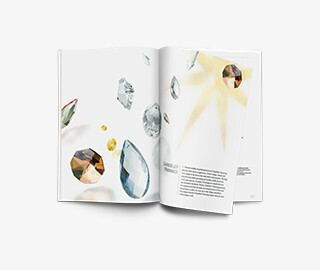 You can choose your preferred payment method to pay for your rhinestones and decorative stone products: quickly and easily via PayPal or credit card (Visa, MasterCard), pre-payment by bank transfer, cash on delivery, or even have your order invoiced - whether it’s for rhinestones, sew-on stones or accessories. In our online shop, you can get high-quality products from brands such as Swarovski, Preciosa and Blue Nil at a fair price. No matter your budget, or how many units you need, there is something for everyone. We also always have offers on our decorative stones - only while stocks last. Just look out for the ‘SALE’ tag.